We are living in an era where data is of utmost importance. No matter who you are, the data you have is crucial and to store it, we need space. Everyone, from an individual to huge organizations are striving hard so that they can keep their data accessible yet secure. In this scenario, will Data Lakes come to our rescue? If yes, how? Take a read through the blog and get enlightened of the same! It can be defined as centralized repository which allows you to show all your structured and unstructured data at one place. The best part is you can store it as it is without structuring or analyzing it. Before you start thinking this as a platform, we’d like to make it pretty clear that this isn’t a platform. It’s a huge chunk of data that is being managed on Hadoop. Data Lakes are gaining mass popularity because they cannot only help you manage your data but also get value of it. It has been seen that organizations that are capable of successfully generating value from their data usually outperform their peers. But how did this happen? Well, the organizations were able to perform various types of analytics on the data present on their data lake which helped them identify new growing opportunities without any hassle. This way boosting productivity, maintaining devices and proactively taking decisions isn’t a hard nut to crack! A few may argue that this is exactly like data warehousing but the reality is quite different! Both are significant and data experts can never choose one or dumping other entirely will never be possible. Moreover, you can implement machine learning, analytics, and other analytic tools can also be implemented in Data Lakes easily rather than Data Warehouses. How Is This Any Different From Data Warehousing? Although these two are different from one another, it doesn’t mean that you can discard one for another. Depending on the needs, a organization may require one or both! Talking about the difference, the key point of difference between these two is that data lake ingests data swiftly and prepares it later as people start accessing it. On the flip side, in case of data warehousing, data needs to analyzed carefully before even letting it into warehouse. We cannot deny that retrieval of data through any SQL query is faster but arranging data in systematic format is not easy. 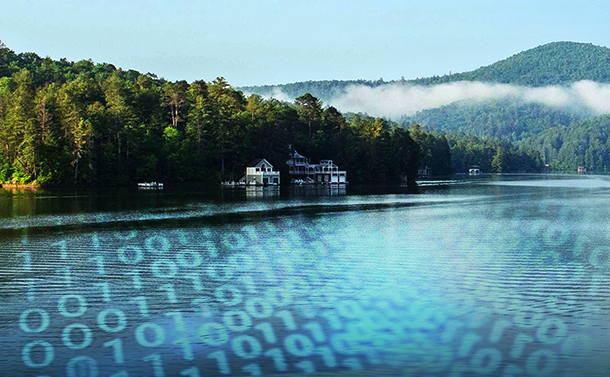 In case of Data Lakes, retrieving data may take long but you can easily store data. Also, we cannot ignore the fact that analytic forms need the detailed source data and that’s the reason why data lake is no less than treasure for data analytics! However, we cannot ignore the fact that Data Lakes make data usable, but it requires defined mechanisms for data storage. Are There Any Barriers to Data Lakes? As most of the firms upgrade data warehouse to data lake, the design is not accurately accomplished. The reason behind this is the fact that Data Lakes are simpler and are able to store raw data whereas data warehouse needs a highly structured format for the same. We cannot just move from one to another without improvising the design because if we fail do so we’ll be stuck in between. Attackers are now well equipped with knowledge as well as tools to penetrate into others’ system. So, keeping your valuable data on Data Lake without adding further layers of security can turn out to be the biggest mistake of your life. The unstructured data can be easily extracted or even help ransom in absence of security. Yes, we are improving the data storage technologies exponentially, but there is still a gap between the required skills and experts available. People who are aware of this and know how to handle such system are limited in number but companies are hastily evolving without keeping this in mind. These were some of the areas in which we are facing challenges and the experts have conveyed that many more will present themselves when we’ll start using Data Lakes on large scale. To conclude we can say that any emerging technology takes time to unleash its full potential and same is expected from this. However, those who have started their journey now will definitely get benefitted in the long run. So, keep your eyes on this fellas as it’s something new and has potential to grow beyond your expectations. What do you think? Don’t forget mention your views in the comments section below!